Through the Wing, I, Cadet Flight Sergeant A. Killeen, Cadet Flight Sergeant L. Pritchard, Cadet Corporal E. Alexander-McGowan, Cadet Corporal A. Cooper, Cadet T. Evans, Cadet M. Jones and cadets from 63 (Bridgnorth) Squadron and 124 (Hereford) Squadron have been working towards The Sports Leaders UK Level 2 Award in Assisting in Basic Expedition Leadership. The course has allowed us to develop our navigation, teamwork and leadership skills and has taught us the ability to assist in leading a group whilst out on an expedition or a day walk in lowland countryside. It is a 57-hour course (including 12 hours demonstration of leadership) in which we are having lessons and practising skills such as camp craft, navigation and leadership. We have gone on various day walks around both Hereford and Cosford over the last 3 months enabling us to improve navigation, lead peers and deal with random scenarios along the way. 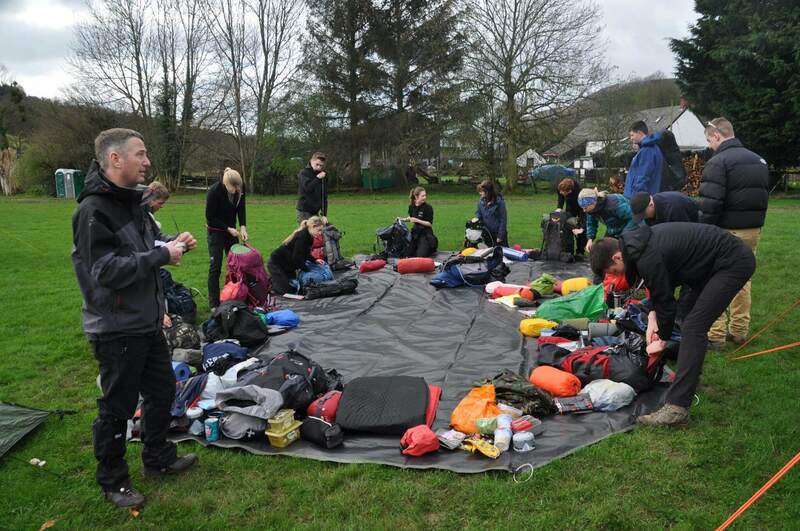 After multiple lessons and day walks on the evening of Friday 31st March, we left the squadron in order to complete a pre-assessment in the Black Mountains in which we spent 2 nights and 2 days putting our knowledge to practice. Whilst it was incredibly muddy and cold it was particularly useful in preparation for the final assessment which should be taking place in June. Over the next month, we’re all completing 12 hours of individual leadership along with an assessment booklet in advance of the assessment. I would thoroughly recommend signing up for the course next year to those who have an interest in orienteering, navigation and leadership as it’s been a great experience meeting new people, learning so much and developing skills along the way.